Five schools have been selected by the agri-industry to rear calves as part of the national Certified Irish Angus Beef schools competition. Run by the Irish Angus Producer Group, in conjunction with ABP Ireland and the Kepak Group, the next phase of the competition is set to get underway in September 2017. Five schools from across the country will take part in the competition, which will run up until March 2019. The finalists were chosen from a shortlist of 34 groups who recently presented project ideas to a panel of judges at an exhibition in Croke Park. • Glenamaddy Community School, Co. Galway. • Ashbourne Community School, Co. Meath. • Davis College, Co. Cork. • Laurel Hill Secondary School, Co. Limerick. • Scoil Mhuire, Strokestown, Co. Roscommon. The teams will each receive five Irish Angus Cross calves in September, which they will be required to rear for 18 months until their slaughter in 2019. Judges were impressed with the calibre of the project ideas and the thought, planning and time that were invested by the shortlisted schools, General Manager of the Irish Angus Producer Group, Charles Smith, said.“We found it almost impossible to narrow down our five finalists, but we are delighted with the end result and know that each school will bring something unique to the competition,” he said. In addition to rearing the calves, the schools will be required to complete a project focusing on a different aspect of farming and the food chain. 1. Mental health and well-being among farmers. Glenamaddy Community School in Co. Galway will undertake a project to highlight to farmers the importance of mental health and well-being.The project will focus on ways to reduce stress, draw on support from family and the community; as well as achieving a sense of job satisfaction. 2. Viability of dairy cross Angus beef production. 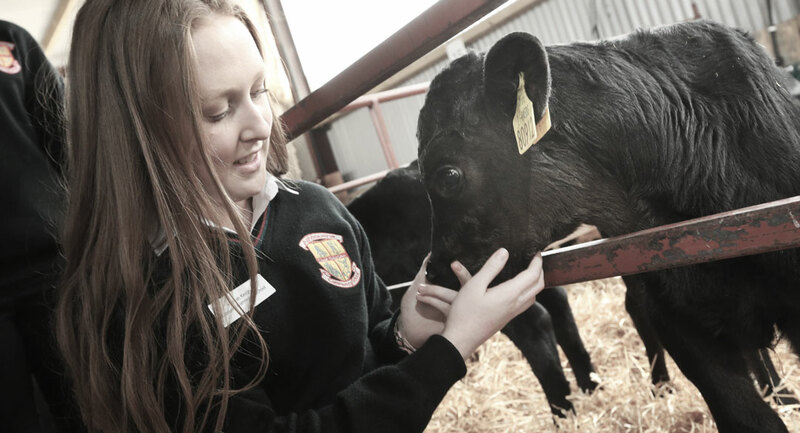 Ashbourne Community School in Co. Meath will explore the viability of dairy cross Angus beef production.This will include assessing the benefits for both the dairy and beef farmer, analysing suitability to Irish conditions and best practice for the production of dairy cross Angus cattle as calves at grass. 3. Versatility of Certified Irish Angus Beef. Davis College in Co. Cork will highlight the versatility of Certified Irish Angus Beef for consumers.They will analyse the factors that affect the quality of beef, explore its flavour profile and develop a creative approach to making beef more appealing for families and children. 4. The importance of Irish agriculture. Laurel Hill Secondary School in Co. Limerick will undertake a project to create consumer awareness about the importance of the Irish agricultural industry and the role of farmers.They will also explore the importance of animal welfare, the history of Angus in Ireland and why Irish beef is recognised as “superior all over the world”. 5. The role of production planning. Scoil Mhuire in Strokestown, Co. Roscommon will explore the importance of planning production on farms.They will profile best practice in production systems and assess the suitability of the farming system in relation to land type. The aim of the competition is to encourage second-level students to gain an understanding about the care and attention that is required to produce and market the highest-quality beef for consumers. 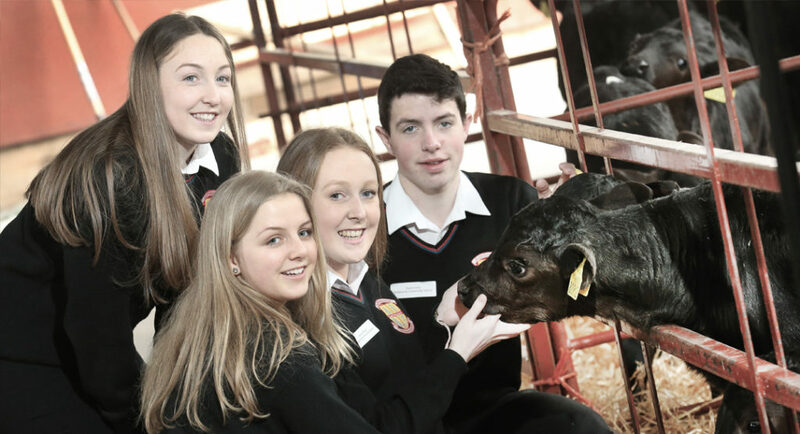 As part of the project, students will be able to apply the knowledge they learn in the classroom to a real-life setting.Each of the finalists will receive the financial benefit involved in the selling of the animals to the processors on completion of the project.The winning students will also receive an additional grant of €2,000 for their further education.